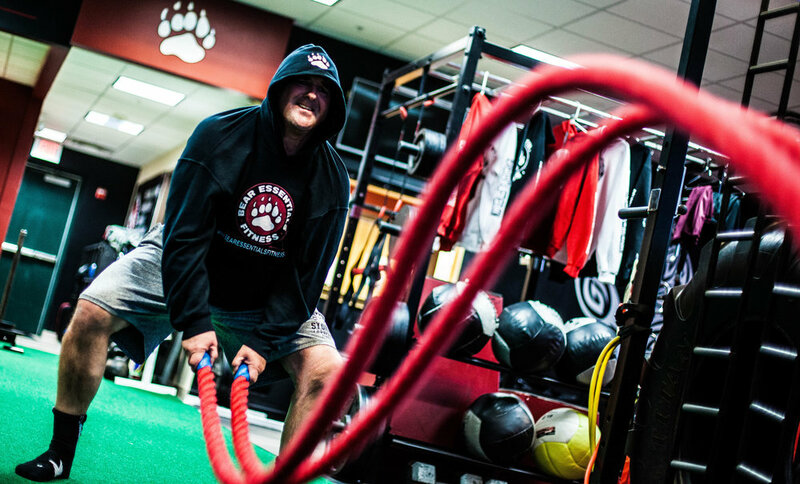 Bear Essentials Fitness has created a unique, scientifically backed training system that is rooted in building actual, permanent, total fitness for clients from the ground up- Starting with developing the necessary range of motion and flexibility needed to achieve strength and performance gains, and guiding each client on their individual path to achieve their weight management, strength, and athletic goals. We believe that experiencing true fitness should not be limited to the genetically gifted or the professional athlete – the numerous benefits of increasing your mobility and strength are fully available to you. Regardless of your individual goals, it starts with personal determination and an open mind – we'll show you the path, all you need are the Bear Essentials. Without a clear goal and reliable information, the world of fitness can be very frustrating to navigate. We know we want to accomplish something – losing fat, gaining mobility, training for a particular sport, and so on – but we must sift through an endless sea of conflicting opinions, endless sales attempts, and dubious claims and sources. As a result, so many of us waste so much time struggling through endless hours in the gym, or seeking the “magic pill” promised by so many. At Bear Essentials Fitness, we focus on finding your MED, or “minimum effective dose” for the results you're seeking, teaching the most effective functional exercises and progressions to help maximize results and free up time for you to live your life.